Lieutenant Victor Charles Douglas Boyd-Carpenter (Royal Engineers) is killed by shrapnel in Delville Wood when in charge of a party who are returning after putting up wire entanglements at age 28. He makes his men go first so as to give them the safer position, but is killed on reaching the open. 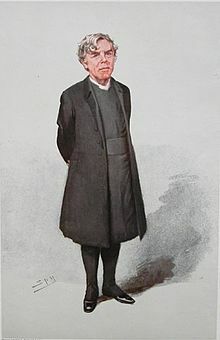 He is the son of the late William Boyd Carpenter former Bishop of Ripon. Acting on Mr. Pierpont Morgan’s advice he went to America and was employed on the Southern Railway in the United States and on the Canadian Pacific. While on the Southern Railway he had charge of construction work at Brunswick, Georgia. Lieutenant Boyd-Carpenter, who was in America when the War broke out, returned to England and was given a commission in the Royal Engineers. He went to the Front in January 1916 and was primarily employed in bringing up materials as the line advanced, in erecting necessary fortifications, and preparing the road for further advance. Private John Stuart Fox (Canterbury Regiment) dies of illness at age 20 in the village of Allery on the Somme. He is the son of the Reverend John Elliot Fox. Private Charles David Benjamin (South Lancashire Regiment) is killed in action at age age 31. His brother Thomas Henry Benjamin also fell. Private Robert Morris (Welsh Fusiliers) is killed at age 21. He is the middle of three brothers who are killed in the Great War.